By Brian Voo in E-Commerce. Updated on December 3, 2018 . Taobao is the biggest consumer-to-consumer (C2C) e-commerce platform based in China. You can get clothes, accessories, gadgets and even computer hardware at very low (dirt cheap) prices. However, because the website is 100% in Chinese, this may be a barrier to those who want to shop but can’t make heads or tails navigating through the shopping process. Well, we’re here to help. 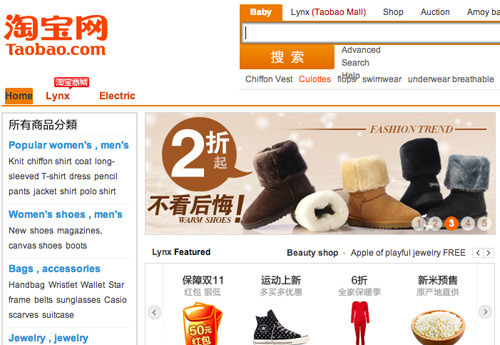 Here are 8 things you need to know when shopping at Taobao. We’ll cover how you can navigate this Chinese site, giving you a rough idea of the feedback system, how to use a Toabao agent (middleman service), and other factors to consider when purchasing an item. 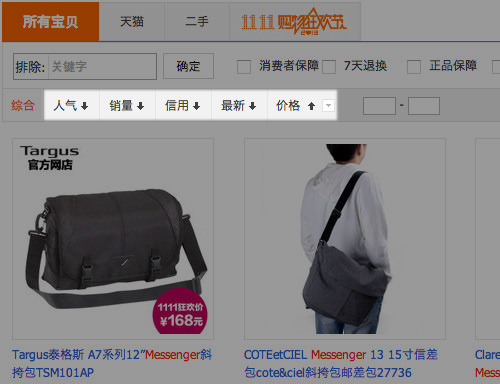 Taobao’s navigation, item listing and overall user interface is in Chinese. One way to make sense of it all is to Google Translate the page. Even then, be prepared for odd and incomprehensible translated results. The good news is that some sellers understand that there’s a market outside of China. These sellers will include English keywords on their listings so, when you search for international brands like "Nexus 7" or "iPhones", you will get some results from the search engine. Like most search engines, you can sort results based on certain criterions (filters). At Taobao, you can sort results based on: Popularity, Sales, Seller’s Reputation, Newest Additions, and Price. 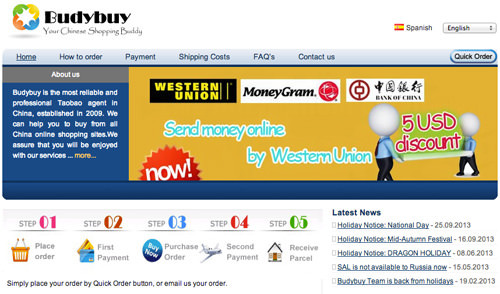 There are other seller-related service criterion that you can search for: Consumer Protection, 7-day Return Policy,Genuine Product, WangWang Live Chat, Overseas Product, Cash on Delivery, and Accepts Credit Card. Within an item’s listing, you can sometimes choose an option (color or other specifications) as shown below, marked 1. You can also tell the amount of stock the seller has left, marked 2. Just like on Ebay, you would want to pick an experienced seller who is trustworthy. One way to figure this out is to find out how many transactions they’ve processed, and successfully delivered. This can be viewed at the seller’s profile. This seller, for instance, has processed 129 units of this item and successfully delivered 99 of them (marked 1 below). Sellers can also be ranked by buyers. The lowest ranks are hearts, followed by diamonds, blue crowns, and finally yellow crowns. A seller has to earn 5 of each rank before ascending to the next rank. As you can see, the seller below has 2 blue crowns (marked 2) which is quite a good rating. You can also tell when they started their shop and the amount of positive feedback they’ve received throughout that time. This can be found under the rating with the date (in this case 2006-09-18). The figure 97.69% refers to the positive feedback received. In most online shopping sites, customer feedback and reviews are a great source of reference before one makes a purchasing decision. 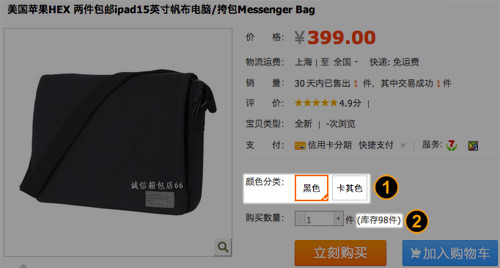 Similarly, Taobao also has a place where you can check the feedback of previous buyers at the bottom of a product page. The quality of the product is rated by previous buyers who have received the particular item you’re looking at. The system uses stars and a rating from 1 to 5; so if that product is rated with 5, you can assume it is of quality. However, if there are no reviews of that particular product, you can check out the seller’s overall feedback by clicking on the seller’s rating (heart, diamond or crown). Scrolling down, you’ll see the feedback given by people who have bought any of the seller’s items. This gives you a grand idea of whether the seller is trustable or not, before you purchase an item from him/her. Chinese Yuan (RMB) is used in every transcation on Taobao. Alipay (think of it like PayPal) can also be used for payment. You can also pay via online banking or buying a money recharge slip for your Taobao account from a post office in China. On top of the item and shipping fee, other fees like insurance, shipping of sensitive items, additional payment fees and commissions might add to your total cost. You also have to take into account the exchange rate. If you can communicate with the seller, it is important to ensure that your item can be shipped internationally (or be forwarded by mail) before making payment. This is because most Taobao sellers do not ship overseas due to the language barrier and the lack of experience on the subject. Ocassionally you may find a seller that speaks English and can accept international or online payments, but all of those extra benefits come with a cost and you might end up spending more than you need to. You may need to take note of certain shipping restrictions in your country that you have to conform to, like what items are restricted or taxable upon entering your country. Taobao works similarly to buying a $0.99 item from China on Ebay. After the payment is made, it’s all about the waiting game as your item might take 7-40 working days to reach you. Items usually take 3 weeks or more to enter the country. Then another week or more to clear your local customs. You will then have to wait a few days for your local postal service to deliver it to your doorstep. So, 3-5 weeks is a conservative estimate. Shipping duration also depends on the delivery option you’ve selected. DHL can deliver within 5-10 days, EMS (also known as China Post) may take 10-28 days and China Air Mail from 14-40 days. Of course, you will need to pay more for a speedier delivery. 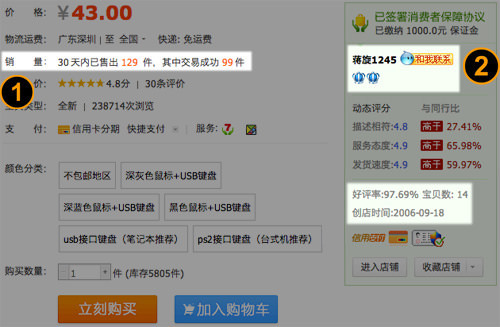 The use of a Taobao agent is highly encouraged for buyers outside of China. The agent’s role is to act as a middleman between you and the Taobao seller. The agent will help you communicate, pay and handle shipping of the item from China to your doorstep; they can sometimes also help you search for something and explain the details of your desired item. Because Taobao is gaining limelight outside of China, you could probably find a local Taobao agent in your area to help you purchase something from the marketplace. Looking for a local agent also means that you’ll save on shipping because the agent will have the seller send items to their location first before forwarding it to you. 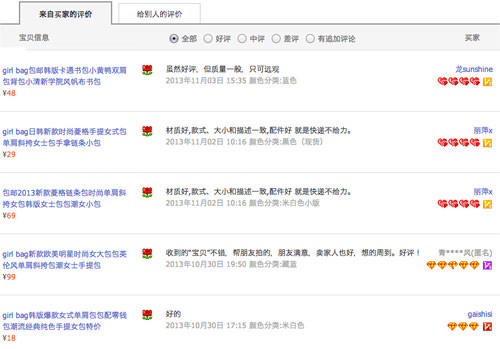 Different Taobao agents will charge for their services differently. Some might use a higher exchange rate (then keep the excess sum), while others may charge a percentage of your total purchase or a flat fee for their services. These agents may take PayPal or direct bank transfer. When it comes to shipping, some of these agents have an inside contact that can navigate through the shipping procedures, to ensure that your parcel reaches your doorstep. This may get your parcels delivered to you faster than other agents that consolidate purchases from multiple buyers before shipping them, to lower shipping costs. If you are living outside of China, it is worth paying an agent to handle these procedures allowing you to shop, hassle-free.